With the blessing of His Eminence Our Metropolitan Iosif, we have resumed the project of construction/acquisition of a church for the exclusive use of the Romanian community in London. 3. 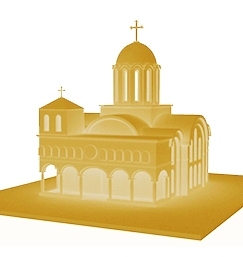 The acquisition of a redundant church (Anglican, Catholic or Methodist) and its conversion to an Orthodox church. God, sanctify those who love the beauty of Your house!